If you’re feeling sharp aches or a burning sensation in your knees or other joints, you maybe suffering from osteoarthritis, or OA. OA, according to PubMed, is “the most common joint disorder” and occurs “due to aging and wear and tear on a joint.” As the Mayo Clinic notes, the condition affects millions worldwide and there is no cure. But there are some treatments available. And about a decade ago, 180 people underwent surgery to alleviate some of the pain. Eutimo Perez, Jr., was one of them, as retold by ABC News. Before the procedure, Perez described his pain as off the charts. Two years after? He claimed to be pain-free. Which is pretty incredible — especially because Perez’s procedure was a sham. One group received debridement, in which worn, torn, or loose cartilage is cut away and removed with the aid of a pencil-thin viewing tube called an arthroscope. The second group underwent arthroscopic lavage, in which the bad cartilage is flushed out. The third group underwent simulated arthroscopic surgery; small incisions were made, but no instruments were inserted and no cartilage removed. Perez was in group three. And like most others in his group, the procedure “worked.” The research was published in the July 11, 2002 issue of the New England Journal of Medicine, and Dr. Bruce Mosely, the paper’s lead author, told ABC News (as linked above) that “[t]he groups were all reporting improvement; it’s just there was no greater benefit in any of the groups compared to the placebo. [ . . .] I think that if you believe in something, you can get well.” Mind over matter. 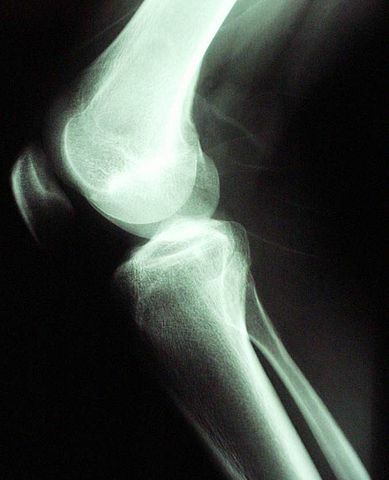 It also may show that patients — even those involved in medical studies — also are optimistic and hopeful (or perhaps, that they fail to read the fine print).The study specifically noted that participants “may receive only placebo surgery” which “will not benefit [their] knee arthritis.” The patients weren’t told which group they were in during a two year, post-procedure observation period, so not only did they have to believe that the surgery worked, but they also had to believe that they had surgery in the first place. While some doctors still perform arthroscopic surgery ostensibly to relieve pain due to osteoarthritis, it’s not easy to justify given the 2002 study. This is especially true because in 2008, another set of doctors repeated the 2002 study and came to the same conclusion. Bonus fact: One of the other myths out there about knees is that babies are born without kneecaps. That’s not exactly right. As Emory University doctor Matthew Hoffman explains on WebMD, babies have knee caps — they’re just made of cartilage, not bone. Bone starts to form at around age 3 to 5, and, by adulthood, “almost all the cartilage” is replaced by bone. From the Archives: Getting High Off Other People’s Blood: A sickeningly dangerous way to get a drug hit — which may just be a placebo of sorts. Related: Placebo pills, with a sketchy label and all. Best avoided, most likely.